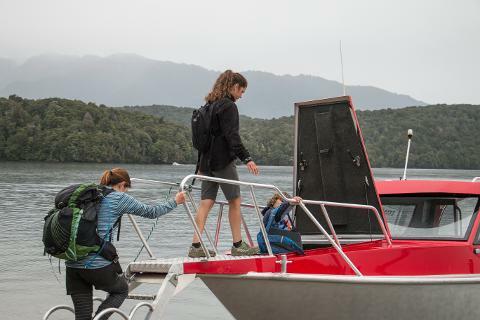 Travel across Lake Te Anau by water taxi to Brod Bay with its clear water and white sands. 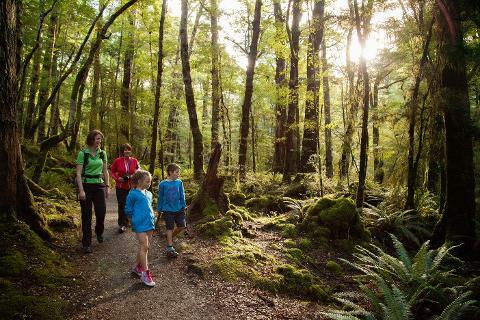 Here we begin our easy walk following the lake edge through mountain and red beech forest. 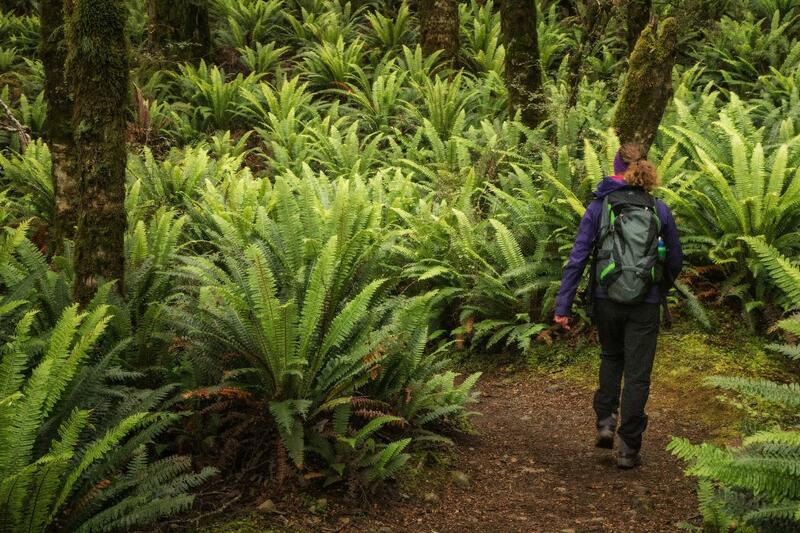 The track has a gentle gradient, is well maintained and suitable for all abilities. 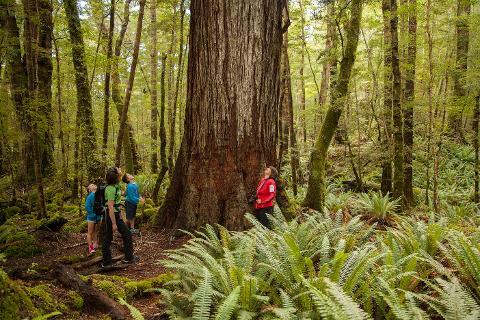 Your private, knowledgeable Trips & Tramps guide will share information on your surrounds, explain the beech forest ecological cycle and conservation efforts made on the Kepler Track by the local community as you wander along. 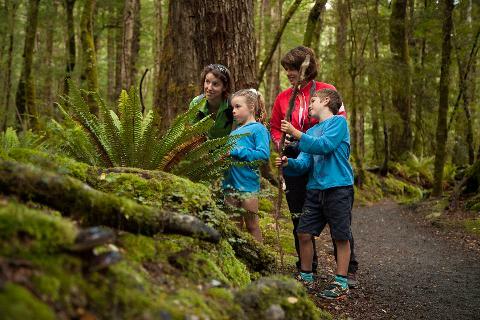 On a beach, or under the trees we will enjoy a classic kiwi cuppa along the way and explore the native forest with its unique plant, fungi and bird species. 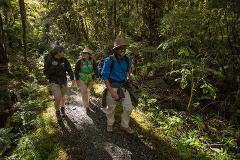 We emerge from the bush to cross the Control Gates across the mighty Waiau River. 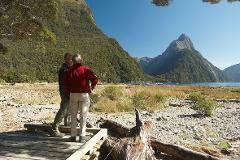 From here we will transport you back to your Te Anau accommodation by road.